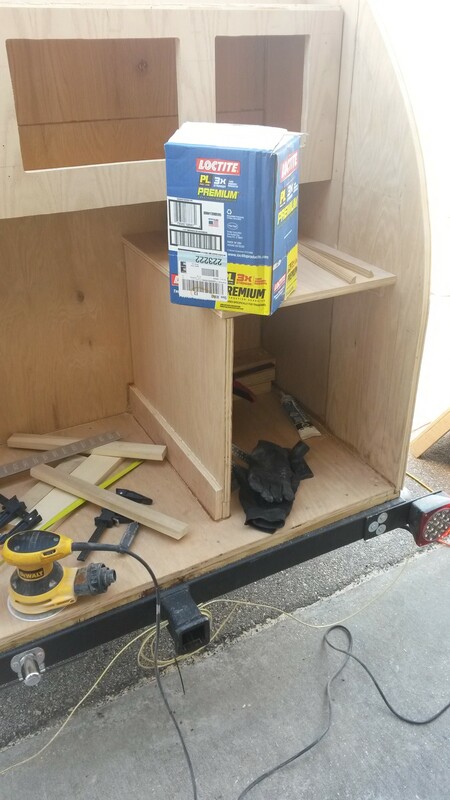 There are a ton of things that have to fit into the galley so the layout is critical. 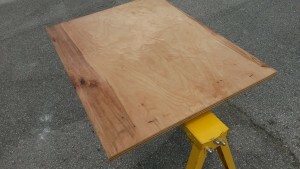 I started with this blank slate as you can see. 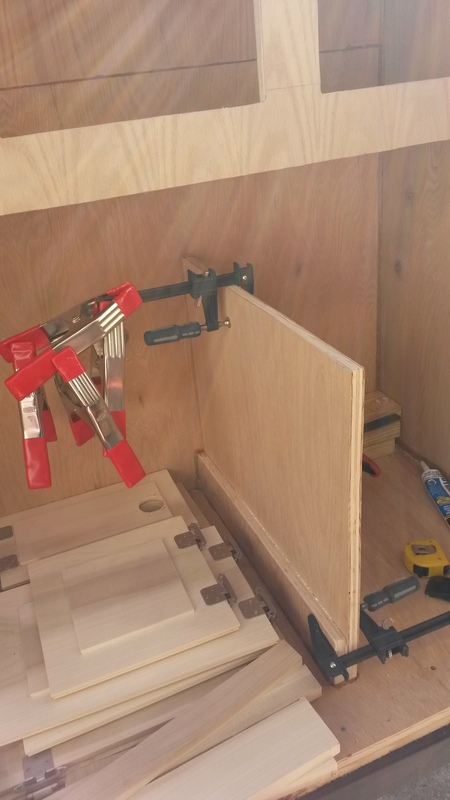 The first thing I did was figure out how to install my fridge slides. 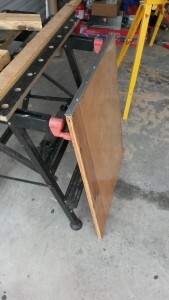 The one slide attaches to the wall. 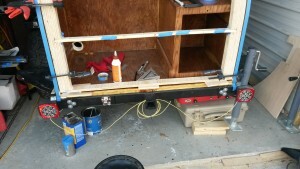 The other side I had to make a mount sturdy enough to support the 500lb load capacity of the sliders. 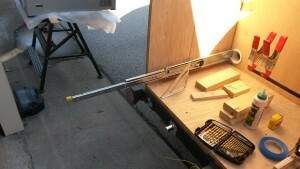 I ended up checking it with my weight of 220lbs fully out and it supported it good enough for me. Next I create a shelf for the fridge slide. 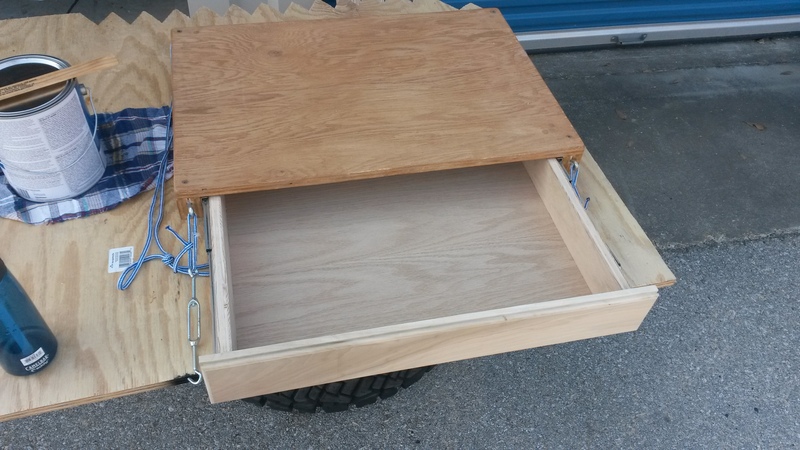 Below the fridge slide I created a drawer for utensils and other smaller things. 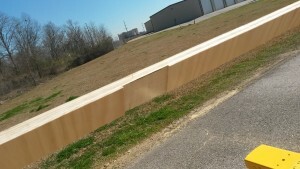 Once this was done. 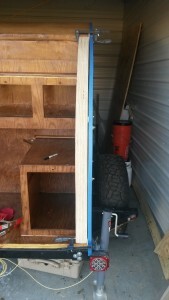 I started working on framing in the cabinets since now I know the lowest they can go without interfering with the fridge. 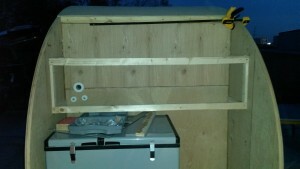 Then I cut all the plywood out for the cabinets. After this I created the doors in the same manner as the one’s on the inside. 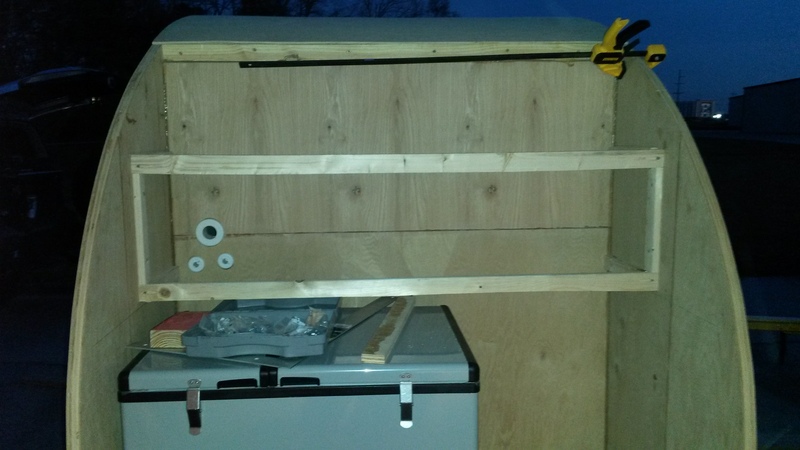 I then went and worked on the lower cabinet next to the fridge/freezer. 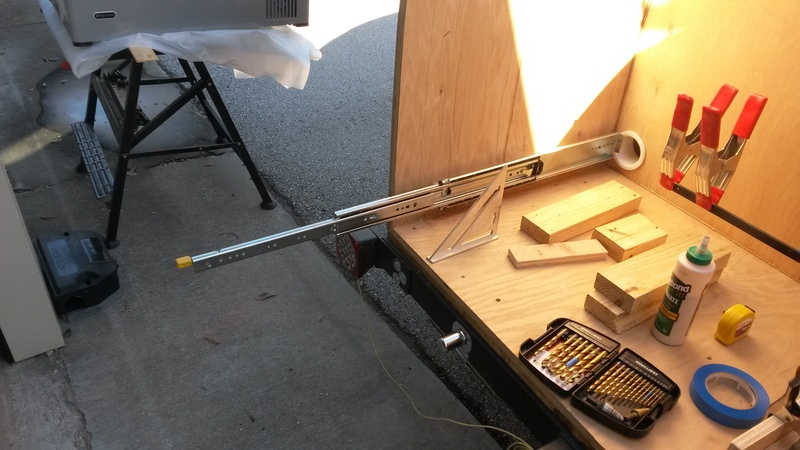 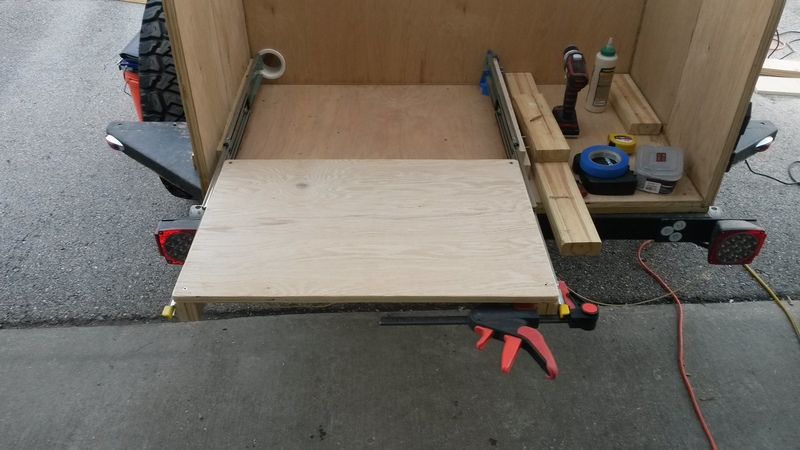 I first built a false wall onto the fridge/freezer slide support. I enclosed the cabinet with the top peace. 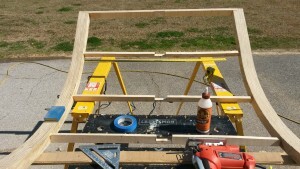 that will also act like a small counter top. 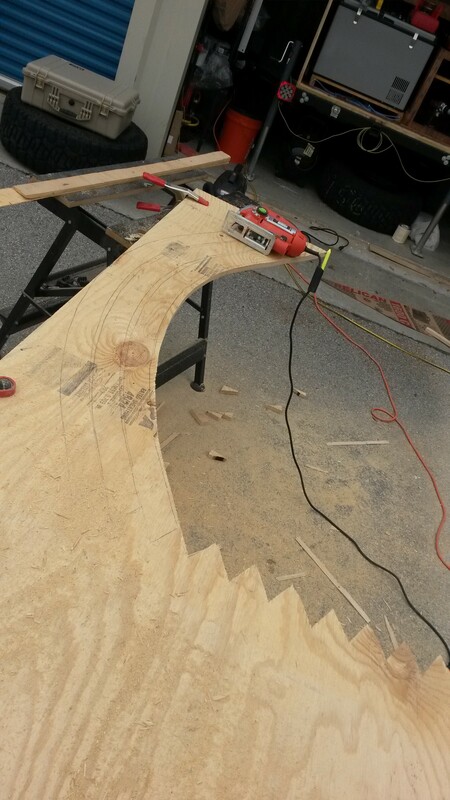 Then it was shaping the front plate with the cutout to fit nicely and put it in place. 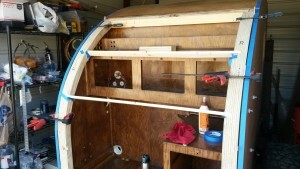 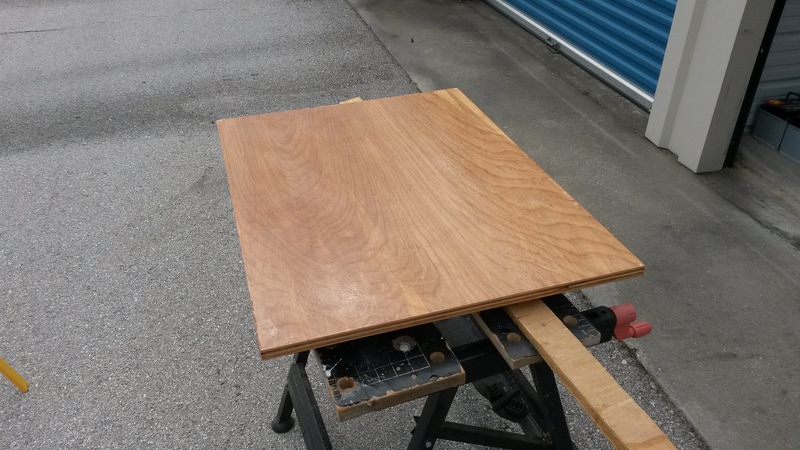 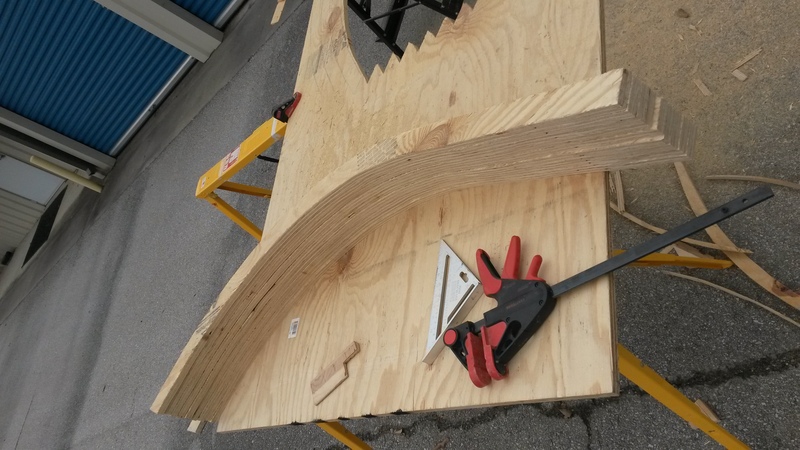 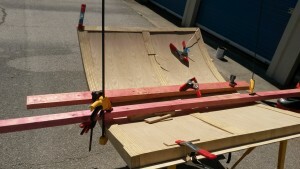 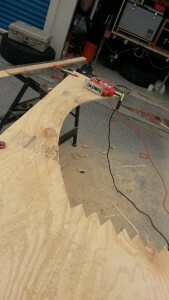 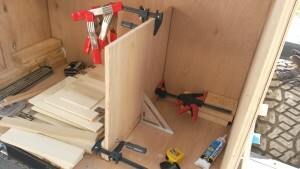 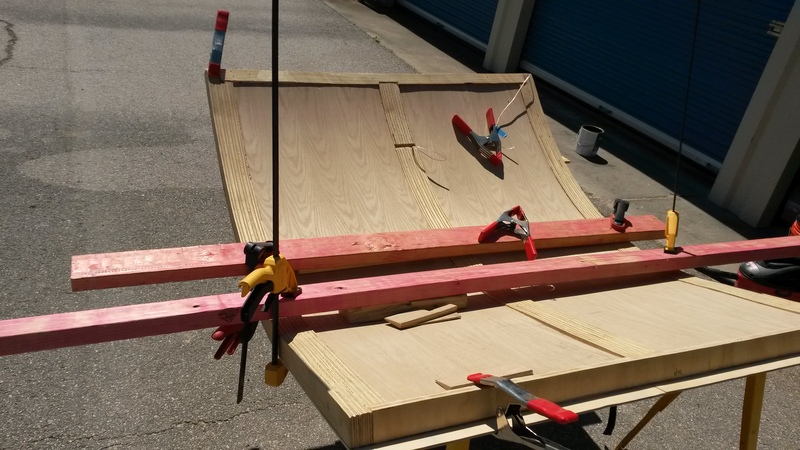 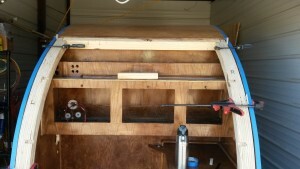 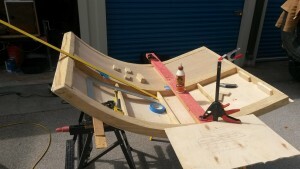 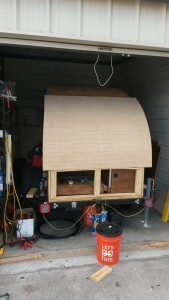 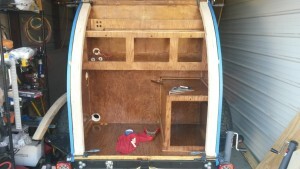 To create the galley hatch I took a sheet of 3/4″ plywood and cut out 12 ribs. 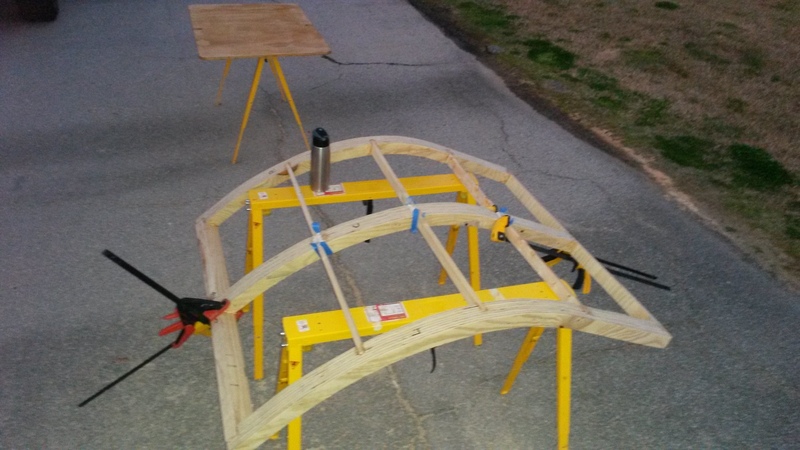 I glued 3 groups of 4 ribs together. 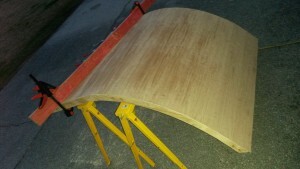 Then sanded them down evenly. Then I cut them to length to fit the galley opening. 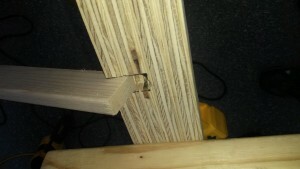 Next I cut the cross members to fasten the 3 ribs together. 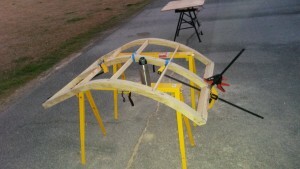 Along with this I notched the two outer ribs and cross members so the gluing surface would be larger and stronger. 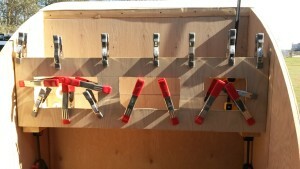 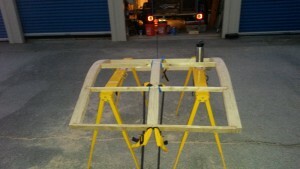 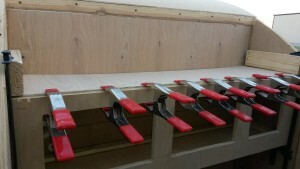 I then fastened Clamped the two outer ribs into place and glued all the cross members in place. 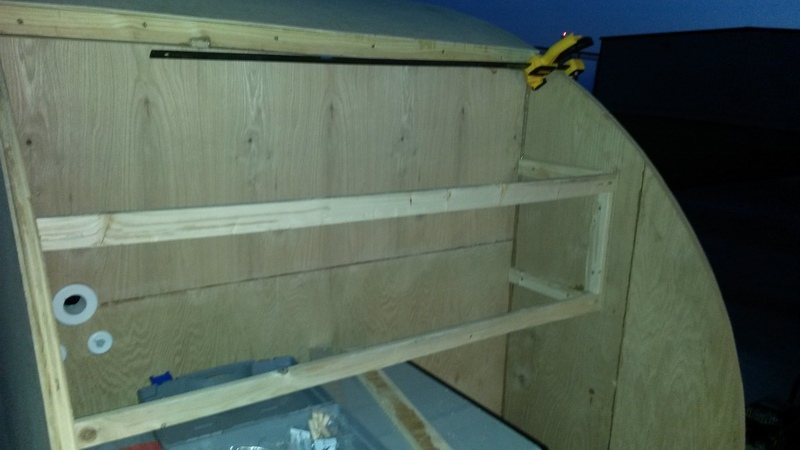 I used a 1/4″ plywood spacer on the outside of each rib to ensure the hatch would be able to close once done. 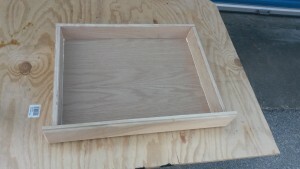 After the glue dried then I removed the frame and notched the cross members along with the top 2×4 and bottom 3/4″ ply to fit the middle rib. 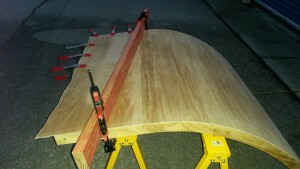 I also trimmed down the length of the middle rib to fit. 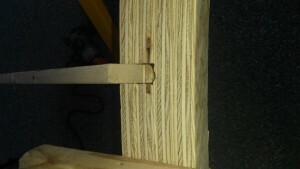 Once I trimmed the middle rib to slide into place. 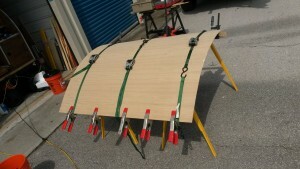 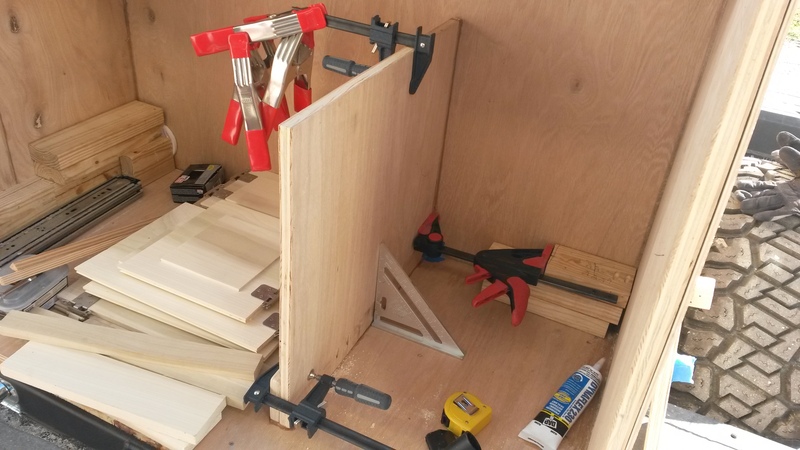 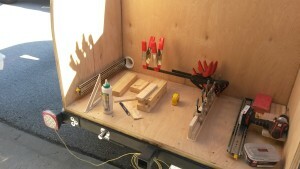 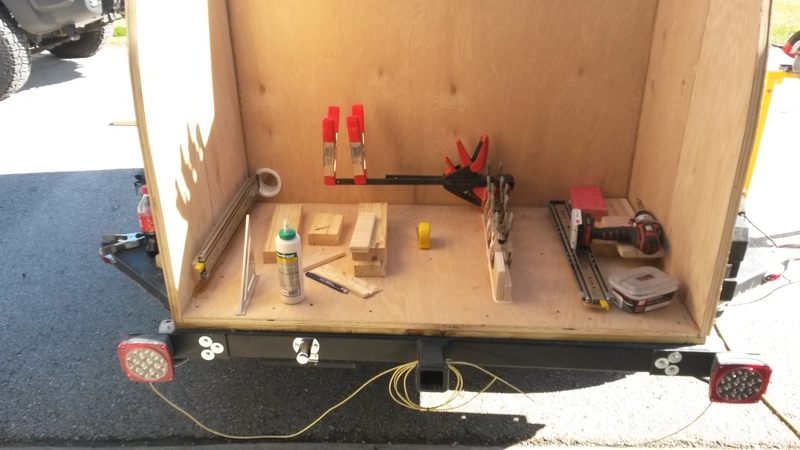 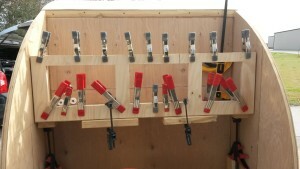 I then glued and clamped it all together. 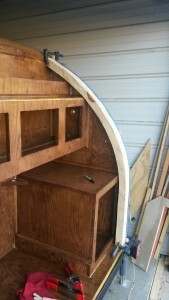 The next step for the Galley hatch was to start skinning the outside. 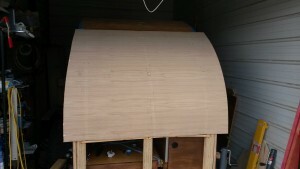 I started with one large peace to cover the curve. 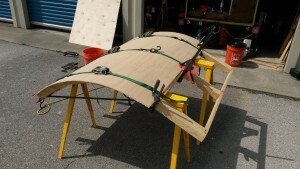 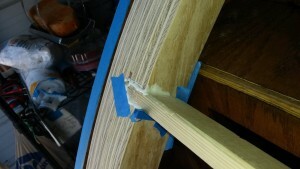 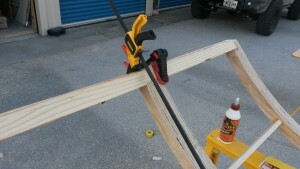 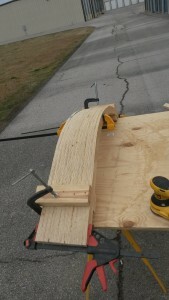 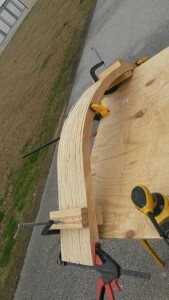 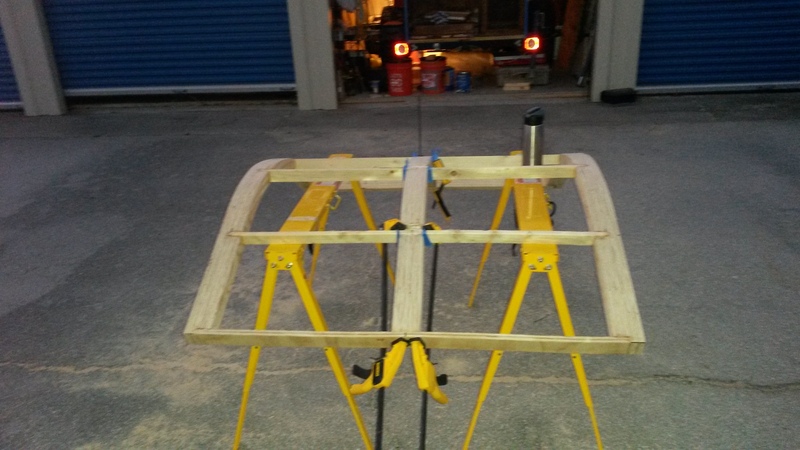 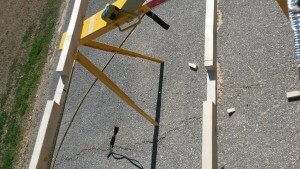 I used ratchet straps to hold the 1/4″ plywood down onto the ribs. 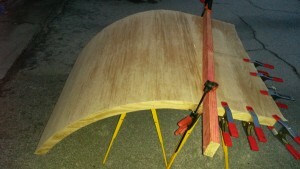 I left the plywood longer then required so I could trim it with my router later for a nice fit. 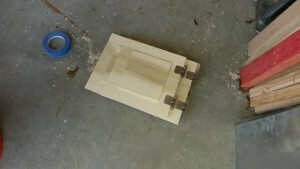 After the first peace was put on. 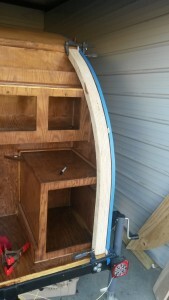 I then test fitted it into onto the galley to ensure that I did not tweak anything and it would still work. 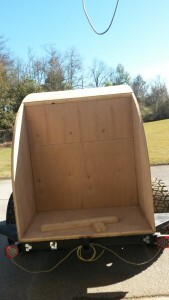 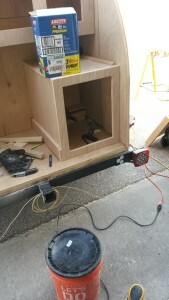 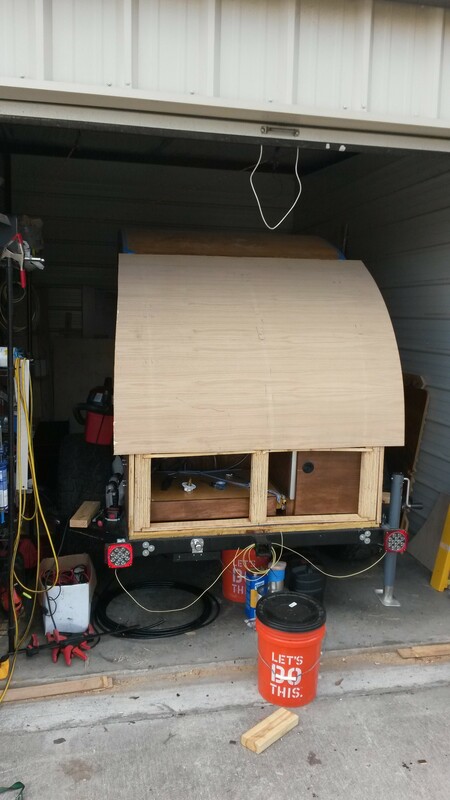 After this then I used two small scrap peaces of 1/4″ plywood to finish the bottom flat section of the hatch. 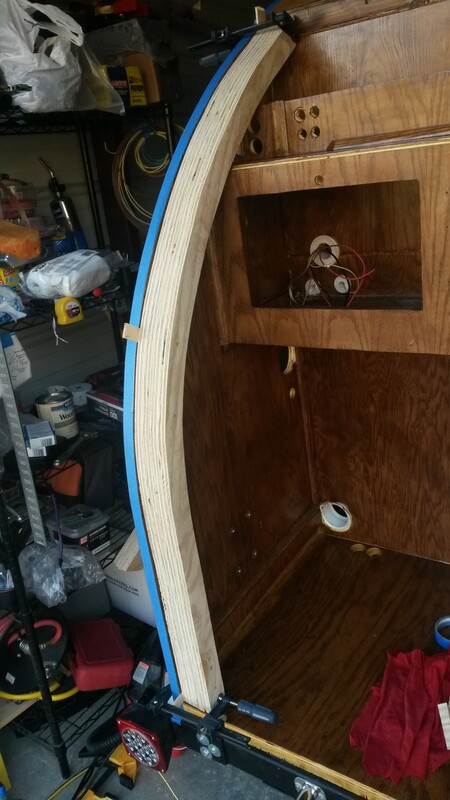 All this will be covered with aluminum so seams are not as important. 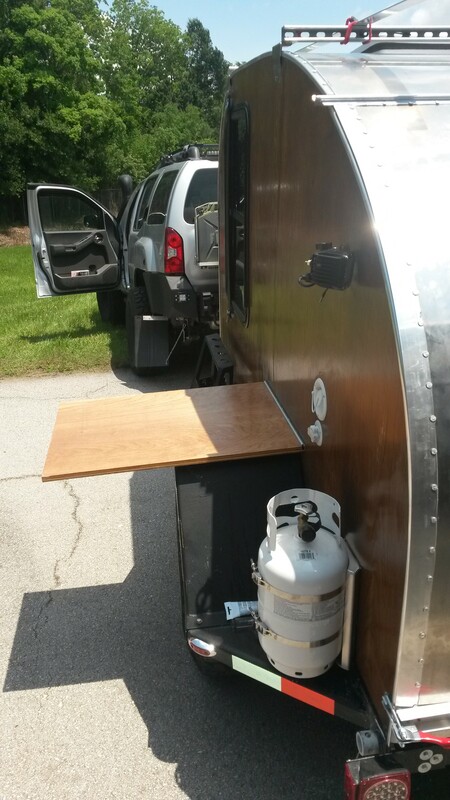 Then I flipped over the hatch and had an internal debate with myself. 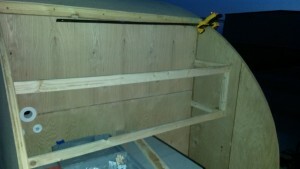 Do I skin the inside to hide the ribs or show the ribs? 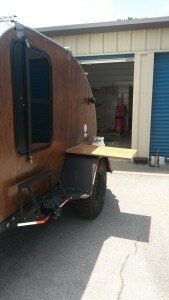 Well the following is what I decided. 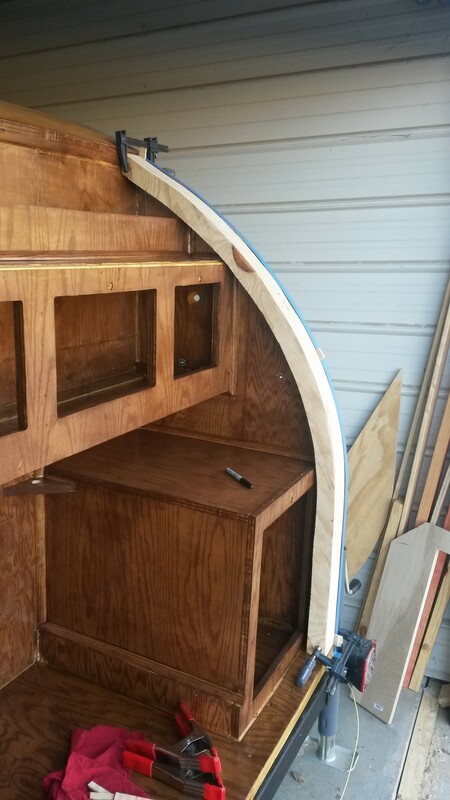 You might of noticed that there is not a lot of counter top space in my galley. 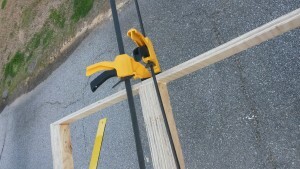 I came up with a creative solution for this. Add an exterior table. This table will be used for cooking and prep work. Maybe even an occasional candle light dinner.